The subject of this panel was the challenges and opportunities facing Early British Studies in the current climate. What kind of future does Early British Studies have in higher education? How can we engage students? The panelists considered these questions in various ways. Helen Deutsch looked back in order to look forward, we might say. She implicitly argued against the suspicion that Early British Studies have no relevance to what people care about now. Her strategy was to demonstrate in fascinating detail the influence of Jonathan Swift over Edward Said. She reminded us that Said had long planned a book on Swift; she suggested the profound connections between the kind of public intellectual that Said became and vigorous eighteenth-century models for such a position. The next two panelists focused on student engagement with the period. Seth Lerer discussed the challenges of teaching Early British Literature to a new generation of students. He described a large lecture class he was teaching at San Diego, in which the majority of students spoke English as a second language and only one had brought the book. The rest were reading the material on their iPads, laptops, and even iPhones. Yet in spite of this set-up, the talk did not turn curmudgeonly. These students were welcome on his lawn, and he took seriously the challenge of communicating with them. He proposed that we include the history of technology in the way we teach Early British Literature, drawing connections between the move to the digital and the transition to the codex. He argued that this kind of contextualized narrative would be consistent with the discipline itself, suggesting that one of the distinguishing characteristic of humanities disciplines was concern with its own history. The sciences, he pointed out, supersede their history and thus have little interest in what came before. Finally, Emily Anderson offered some thoughts about the problem of “relevance.” She noted tensions in eighteenth-century courses between our impulse to historicize and the student desire to find themselves in the literature, collapsing those historical differences. She pointed out that students often come to literature classes out of a desire to write their own story. Her strategy, which she has found to be effective, has been to use this to her advantage and cultivate this impulse, but then also, we might say, to theorize the impulse itself. For this she uses Tristram Shandy, though a difficult text for undergraduates, as a model, which is after all the story of someone writing himself into being. She has even started to offer students a creative option to the usual critical paper, although they also need to discuss their choices and strategies in a critical way. Overall, a worthy and engaging panel, filled with great ideas about how to bring Early British Studies into the 21st Century. As promised in my post of 24 October (An Author Thanks His Collaborative Readers), I am listing here corrections of typos and other errors in The Enlightenment and the Book. Many of these corrections involve mistakes in transcribing manuscript letters from William Strahan to William Creech, originally done from a microfilm copy that was often difficult to read. Some of the corrections made here will be discussed, with proper acknowledgment where appropriate, in the preface to the paperback edition that is scheduled to appear in June 2010. In the meantime, I encourage readers who find other errors to share them in comments to this post. p. 684, no. 347: This entry should be eliminated from table 2 because its author was a different William Thomson from the one listed in table 1. M’Kenzie, Mrs. William. See Hallhead, Sarah. An entry for “M’Lehose, Agnes, 132, 233” should be inserted after the entry for “McLaws, William” on p. 792.
p. 814: “Woodhouse, William, 512, 527–28” should be a separate index entry after the entry for “women” rather than a subentry under “women” as it currently is. As Sher indicates in his introduction, copyright supplies only one thread of a much larger story about authorship in the eighteenth century. Transformations in conceptions of ‘authorship’ and what it meant to be an ‘author’ occurred within and across various spheres, especially during the second half of the century. These spheres could be broadly categorized as consisting of the legal, aesthetic, commercial, and sociocultural realms. At times these transformations overlapped with one another, and at other times they occurred independently, sometimes unfolding far more slowly or swiftly in one sphere than another. Sher’s third chapter focuses foremost on the commercial realm, though it does address elements that overlap with the sociocultural sphere. Such a focus is a welcome one, for not only has the commercial realm been understudied but general pronouncements about the rewards of authorial labor benefit from the careful examination and testing they receive here. The chapter’s first two sections address authorship in terms of patronage. Opening with James Boswell’s account of Samuel Johnson’s view of booksellers as the “patrons of literature” (195-6), Sher notes that this well-known episode “implies a general progression in the eighteenth century from aristocratic patronage to patronage by the booksellers or, to be more precise, publishers” (196). Although some scholars such as Alvin Kiernan and some contemporary remarks by eighteenth-century authors such as Oliver Goldsmith and even Johnson, point to the public as being the new patrons, the booksellers-as-publishers operated as “‘the cultural middlemen’ …between authors and their publics” (197). To test the validity of these formulations, Sher then proceeds to flesh out claims that booksellers served as the new patrons of author with specifics. Besides copy money, an issue Sher tackles later in the chapter, he identifies three other prime ways publishers exercised their roles as patrons. The first involved the commissioning and funding of large scale, financially risky projects (198), and the second encompassed the “social support system” that publishers provided for their authors (198-9). This system ranged from providing hospitality to banking to emotional support, and multiple examples are offered as support and illustration. The final form of patronage concerns the intermediary role booksellers performed between authors and the “public,” a word whose multiple connotations could designate “the reading public,” “buyers of books,” or “public opinion” or all three (201). Besides this useful reminder about the multiple meanings the term “the public” could signify, Sher’s discussion also reframes notions of the “rapacious booksellers” whose self-interest robs authors of their just dues in terms of the bookseller as representing and protecting the interests of the public against authorial self-interest (203). The remainder of the chapter deals with the numerous ways Scottish Enlightenment authors approached remuneration and the commercialized literary marketplace. The first approach is that of the “gentleman-author” who claimed no interest in monetary returns from their work. While most authors did not have the means to adopt this attitude, those who enjoyed success could eventually adopt this pose if so desired (209). Noting that most frequently these authors were “landed gentlemen whose books were written solely for scholars and who were not likely to make a profit anyway” (210), Sher offers an example of James Hutton who financed the production of his work but sought Strahan and Cadell to “respectably announce[.. it] to the world” (210). The example serves to demonstrate the importance of the publisher and the sociocultural cache that having a prestigious bookseller-publisher in a work’s imprint carried. [This point arguably bears some relevance to our discussion of generic hierarchies in comments on Sher’s introduction.] Sher deems publication projects whose profits would be donated to a charitable society or to an author’s family or estate as a variation of the “gentlemen-author” approach (212-13). In these cases authors sought the best price for the work, but the lack of financial reward to the writer perhaps justifies its classification under this rubric. compensation by the sheet or by the job (215-16). The labels for these various categories of payment may seem fairly self-explanatory, yet several involve variations or are more complex than their rubric might suggest. Writing for a piece-rate—typically by the sheet but sometimes a lump sum given for the project as a whole—carries connotations of Grub Street and often entailed the pressures of writing for a deadline, but authors sometimes made out well under this arrangement (215). As the examples reveals, an author could be paid by sheet for the first edition and receive an additional yet lower fee per page if the work warranted a second edition. 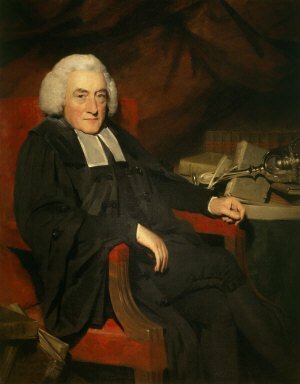 Johnson’s Dictionary and his Lives of the Poets are offered as examples for which an author was paid for a commissioned project. Authors often undertook self-publication to exercise control over their work. This arrangement typically still required the services of a bookseller to market and distribute the work, though the rare author—Sher offers the case of James Ferguson who had a globe shop as one example—performed these tasks, too. Because of the time-consuming nature of self-publication, it was not unusual for an author to sell the copyright to a bookseller and any unsold copies or the rights to publish a subsequent edition or editions. Sometimes, as in the case of William Buchan, the sale of the copyright also included provisions for additional compensation based on sales or the preparation of subsequent editions. The account Sher provides of Boswell’s anxiety over what arrangement to strike for his Life of Samuel Johnson illustrates both the uncertainty facing authors in determining what path to take as well as the gambles involved. Like other sections, the details about production costs, marketing expenses, copyright payments and the like advance in important ways our understanding of the economics of the trade from the perspective of author and producer. Addressing the common association of subscription publishing as “‘a way-station on the road from personal patronage to commercial authorship,’” Sher notes that this form of subscription publishing is only one kind and “may be described as traditional or elitist” (225). Including a list of subscribers whose names frequently provided cultural value and normally produced “in quarto or even folio” and sold “at inflated prices,” works published by traditional subscription resulted in the author receiving profits from its sales (225). These works were not exempt from losing money as the case of Robert Adam’s Spalatro–what Sher describes as “an aristocratic showpiece, intended to enhance the reputation of the architect-author at a critical time in his career—demonstrates (226). A disadvantage of this type of publishing was the risk it carried for painting the author as avaricious. Sher identifies another type of subscription publishing that he calls “commercial.” Works published this way lacked subscriber list and were normally less expensive than standard book prices, thus making them attractive to potential purchasers for their affordability. Subscription sellers would receive a commission, and this method enabled first-time authors a way to control their work and potentially earn more profits while maintaining a fairly low profile (228). As with other arrangements, “many variations and combinations of subscription were possible” (228). In one example offered, what had started as a publication by subscription project become a work published by the sale of copyright in advance of its publication, “using the considerable number of subscriptions … already secured as collateral for the copy money” (229). In the case of Robert Burns, the poet initially pursued subscription publishing to finance his emigration to Jamaica, but the success the first effort altered his plans to go abroad, and the second subscription edition, one resembling the traditional variation of this method in some ways but departing in its modest pricing, helped transform him “from a regional to a national—and international—poet” (231). Burns then sold the copyright to Creech, but the bookseller’s slow payment caused friction that eventually was replaced by satisfaction. As Sher claims, the case of Burns’s poetry displays the variations that subscription publishing could take as it also details the shifting relationship an author could experience with his or her bookseller (234-35). Besides the variety and flexibility of subscription publishing, two other key points in this section are the need to look beyond subscription lists to understand the full range that this method of publication could take and the fact that subscription publishing among Scottish Enlightenment authors was not common (235). A third method of publishing that Sher examines is profit sharing. Under this arrangement, “the publisher paid for all or part of the expenses of production and promotion and then shared profits with the author for a single edition” (235). Such an arrangement was appealing to an author over self-publication because while he or she kept the copyright, the arrangement involved little if any financial risk for the author; eliminated the need to handle firsthand production and marketing duties, and avoided the an imprint which declared that the work was self-published (236). Sher offers several examples of bestsellers published this way, including Adam Smith’s Wealth of Nations as well as an example of one that did not yield its author the financial rewards he expected. Sale of the copyright for just a single edition was yet another arrangement, and this method enabled the author to retain his or her copyright in any other editions published. Once again, this arrangement could take various shapes such as when authors financed the production and “then sold all the printed copies to a bookseller whose name appeared in the imprint as the publisher” (242). Even though registration of the copyright in the Stationers’ Company Register could be costly (nine copies of the work, be it a single or multi-volume, had to deposited as part of registration), Sher draws attention to the relatively substantial number of authors or editors whose names appear as the owners (243-44). Selling the copyright outright in advance of publication was nonetheless attractive to authors. For one, how well a work would sell remained a gamble, so even though the author who had retained the copyright in a work that subsequently proved popular was a in a better negotiating position to sell his right, there was no guarantee pre-publication that a given author would find himself or herself in this position. Plus, some authors preferred to “avoid the Trouble and Perplexity” entailed in negotiating terms and/or becoming more involved in the business details (244). Sales of copyrights could, however, involves terms for future editions or provisions if a work sold better than anticipated, so there was once again room for misunderstanding, hard feelings, disagreements, and additional rewards. As was the case with Hugh Blair, publishers at times provided additional cash gifts to an author beyond that paid for the copyright when a book proved highly popular. Some contracts could allow for the author to receive a specified number of the published work, too. Hard bargains that seemed to favor initially the author, however, could prove disappointing when charges and expenses were deducted from any agreed payment. The success of some authors in receiving large payments generated false hopes for others (249). As Sher intimates in discussing William Robinson’s quarto histories and Beattie’s octavo philosophers, certain genres commanded far greater rewards than others—and these differences were materially represented in the very format chosen. Moreover, this state of affairs encouraged less talented, would-be authors to try their hands at favored, high-yielding genres like history, yet cases such as Thomas Sommerville reveal the disappointing results that often ensued (250-51). His case also illustrates how sale of a copyright in advance of publication can also combine aspects of conditional publishing (252). Some contracts for copy money contained clauses that resulted in hardship for the unwary, overly optimistic author—such as the one Adam Ferguson signed for his History of the Progress and Termination of the Roman Republic in which he had agreed “to buy back all the copies that were unsold eighteen months after publication, at the wholesale price” and then found himself having to pay for the large number that remained at the end of the year and a half (252). The clause was no doubt included because of the very high figure Ferguson insisted on receiving for the copyright. Sher closes this section with a general discussion of copyright sums according to genre and authors. The copyrights for novels, as is generally known, commanded usually low sums, and even some histories in quarto garnered “relatively modest amounts” (254). The chapter closes with two codas of sorts (typographically constructed through spacing and asterisk and having overlaps). The first reiterates the variety and combinations of publishing arrangements available to Scottish authors. Noting that “certain variables such as format and genre operated as constraints,” Sher underscores that these factors still left ample room for negotiation—and thus “for contingency, conflict, and cooperation—in the arrangement and implementation of the terms of publication” (256). The reminder of this section addresses the author as driven by monetary rewards. While acknowledging that financial returns were often a motivation, Sher also draws attention to other attitudes, pointing out that even Johnson wrote pieces without compensation and addressing the stigma that some held towards writing for financial gain. Summing up that Scottish authors’ motives were varied and that no correlation can be easily made between quality and success, Sher notes that on the whole that Scottish authors did quite well financially (257). Moreover, the solid if not substantial returns these authors enjoyed began in the second half of the century and, contrary to some accounts, were not a result of the 1774 decision in Donaldson v. Becket. His findings also counter those of book historians who have relied on payment to novelists in their claims about authors of the time being very poorly paid (258). What is perhaps most interesting here is that Scottish writers fared so much better financially than English authors (with some exceptions such as Edward Gibbon) (259). The second “coda” first summarizes the points about patronage from the opening of the chapter and then returns to the phenomenon of “Scottish authors … looking forward to receiving higher amounts of income from their books than had ever been known” (361). It concludes by acknowledging the dual validity of the ways that publishers had become the “new patrons of authors” and that the “‘public’ had become had become the true patron of authors deemed worthy of its support” (361). I have once again primarily summarized the chapter (I was under the misconception that this was the prime initial task from which critical discussion would ensue. Before writing and posting this summary, I had not read Dave’s engaging, thoughtful posts for chapter 1 and 2; I wish I had because they provided a better idea of what I could have done. Nor did I see his pre-questions until then). Interweaving an examination of common conceptions about author-bookseller relationships, this chapter advances an argument for the ultimately collaborative nature of those relationships. The way in which its argument unfolds, coupled with the detailed evidence and examples offered, makes this characterization hard to resist, let alone contest. While a few of its points–such as university positions and patronage or forms of subscription publishing, to name two–have been touched upon in other studies, Sher casts these points in a new light by treating them as part of the broader context of the publishing avenues available to Scottish authors. Along with this detailed, often analytical synthesis of publishing arrangements, Sher’s attention to economic details represents another strength of this section. The chapter “Identity and Diversity among Scottish Authors” is probably less argumentative and more descriptive than the others in this book, but it contains a substantial discussion of the 115 Scottish authors included in his tables of authors and works, and serves almost as a sociology of the Scottish Enlightenment between 1746-1800. The virtue of this sociological approach, rather than a straightforwardly literary-historical one, is that we back away from the usual biographical focus on undisputed major figures like Hume or Smollett, and begin to see even these famous writers, along with a host of unknowns, as men who fit a definite professional profile in the period, albeit with the usual caveats about variations and outliers. This sociology of authorship also has the virtue of showing, for example, that the national, social, and familial networks among Scottish writers played an enormous role in developing an esprit de corps in this period, but that this corporate identity was as likely to reinforce Scottish insecurities as it was to foster English fears. In this light, I was interested in how important “politeness” was for regulating one’s own and others’ conduct in this social context, and how much effort “politeness” required to be sustained at home and abroad. Though plenty of titled names appear on Sher’s list, the overall impression one gets from these accounts is one of extremely disciplined professional men toiling away in universities over many decades. In these universities, they faced the usual struggles to gain recognition in a politically murky environment where accomplishment was not (is not) routinely rewarded. For this reason, local differences often had to be overlooked for the sake of the group winning greater recognition for Scots writers generally. (This dynamic seems to account for the odd mixture of toleration and abuse often directed towards Hume) Academic readers will therefore find a very familiar dynamic in which oral lectures and presentations are steadily revised and reworked for publication, so that the universities and learned societies become the staging grounds for many of the best-known works of this period. This kind of de facto collaborative work, like much of our academic writing, demands a great deal of complaisance from all sides, but there were always those, like Dr. John Brown (not the writer of the Estimate), who were best-known for violating these tacit agreements. At the same time, I was intrigued by the stories of the dissipated Scottish Grubs who frequented the British Coffee House–men like William Guthrie, Gilbert Stuart, William Thomson, and others–who sought literary fame but were disappointed for reason or another. In most cases, these seem to have been men who were not able to get (or retain) their desired professional posts or preferments, and who were left therefore to the mercies of the publishers and the public. Sher points out that most of these men died early, from the physical strains of overwork and literary overproduction, and their fate helps make Smollett’s early death, at the age of 50, more comprehensible. But the fates of talented men like Robert Heron (in Sir Walter Scott’s words, “a mere sot and beast” who “starved to death” [quoted by Sher, 127]), showed just how far men could fall in this unforgiving environment, and help to illuminate the very different trajectories of, say, Robert Fergusson (dead in a madhouse at 28) and James Macpherson (abandoned literature for political preferment in his 30s, and died well off at his own estate just short of 60 years old). It is for this reason that Sher arrives at the persuasively anti-Romantic formulation that “the paradigm of the ‘modern’ author is not independence in the sense of having no occupation other than writing for publication but rather independence in the sense of integration into the appropriate professions and professional institutions” (11). chapter 1: nationalism and the book? As I’ve been reading Sher’s account, one of the more intriguing stories that has emerged is the manner in which the books published by the Scottish Enlightenment writers served as a kind of literary monument to the movement itself, fostering Scottish national pride and bolstering Scottish identity. This is as true of the self-conceptions of men of letters like Hume as it is in the belligerent and defensive responses of English writers like Johnson or Walpole. Yet thinking about the Scottish Enlightenment in this manner immediately takes us to the paradoxes of Scottish “nationalism,” which freely surrenders its claims to an autonomous state in order to secure access to British trade and a more expansive British identity. So Hume reminds Gilbert Elliot that the Scots may not have a sovereign kingdom or their own Parliament, but they were still “the People most distinguish’d for Literature in Europe” (43). And even if this statement was not strictly true when written in 1757, it was certainly true within a few decades. So one of the stories featured here is about Scottish culture, Scottish literature, and literary reputation generally as a form of compensation–what Scottish elites strove for and received instead of political representation at this time. I was also interested to see how much this impulse toward self-fashioning drove Hume to repackage his earlier writings in subsequent editions, to choose particular genres (the essay) to draw the attention of a wider public, and even to orchestrate the reception of his first posthumous edition with “some small addition” from his friend Adam Smith (55). 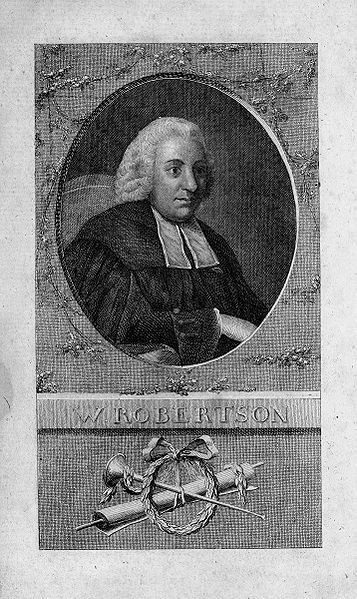 So just as Hume laboriously constructed what amounted to a textual memorial to his own literary career, the writers and publishers of the Scottish Enlightenment, beginning with the friends and editors of Francis Hutcheson’s posthumous System of Moral Philosophy (1755), fashioned the books that would monumentalize their own achievements, and help to advance the reputation of Scotland as well. The second portion of chapter one lays out what I suspect will be one of the more lasting contributions of Sher’s study, which is his very useful table of Enlightenment authors and books contained in the appendices. Sher explains his choices, details the range of formats, subjects, and print runs for his group of texts, and talks a little about the range in popularity between the absolute best sellers (about 13% of the titles) and those at the other end of his list. It is the sheer impact of all these books, produced and sold one after another over all these decades, that allows Sher to conclude that “books were the basic building blocks of the Enlightenment, an edifice erected one block at a time.” This superbly managed collective endeavor calls to mind a similarly impressive architectural feat of this era, the building of the New Town of Edinburgh, which helped to announce to the world (and to England) the modernity and collective intelligence of its inhabitants. from the perspective of literary studies (as opposed to book history), the biggest surprise is the active, entrepeneurial, and editorial role of the publishers detailed here, particularly figures like Strahan and Creech, who tend to disappear when treated alongside the better-known authors they published. We get a sense of the deliberations they made (individually and collectively), the pressures they were under, and the costs (literal and figurative) of the decisions they arrived at. This model of author-publisher collaboration seems indispensable to me, because it can illuminate aspects of both production and reception, but where are its limits? And how might it revise otherwise over-idealized accounts of the author in isolation, as literature, intellectual history, and certainly philosophy tend to do? In other words, what, besides the outward form of the commodity, do the books in those appendices share? if we are talking about this period’s “print capitalism” (Anderson), so to speak, can we say that there is such a thing as an Enlightenment theory of the “organization,” or better yet, “firm”? In other words, to what extent does the ability of author-publisher collectives to work outside established institutions help them respond creatively to the demands of an amorphous, indeterminate public? And to what extent does this model of transnational diffusion work against the nationalist histories of print? it seems to me that any story of modernization and economic development in a specific time and place tends to feature both winners and losers. So who are the losers in this story of modernization in Edinburgh and more generally, Scotland? This seems to me to be what’s at stake in the debates over the status of Fergusson, Macpherson, and Burns, for example. At the close of his introduction to The Enlightenment and the Book, Rick Sher summarizes the primary question his book seeks to answer: “how best to comprehend … the intricate, complex, expansive, and intimidating” maze that constitutes eighteenth-century book culture in order to facilitate its navigation (40). The pages preceding this query suggest that the work will serve as a highly able, thoughtful, and methodologically innovative guide in executing this task. Detailing why this task matters in the context of book history as well as Enlightenment studies, these pages indicate that this book will respond to unanswered needs within and across these two fields of academic inquiry as it charts new paths for both. The introduction is divided into two main parts—TOWARD A BOOK HISTORY OF THE SCOTTISH ENLIGHTENMENT and DESIGNS AND DISCLAIMERS—and each of these parts is divided into two sections. In the first section of Toward a Book History of the Scottish Enlightenment, “The Problem of Enlightenment Publishing,” Sher briefly reviews the widely recognized role of book culture in the Enlightenment and addresses Britain’s place at the forefront of the developments affecting book culture during the eighteenth century. This overview prepares for an assertion that signals the meta-exigence for his study: “[T]he book history of the Enlightenment, especially the English-language Enlightenment, remains a story waiting to be told” (5). The heart of this story for Sher is the relationship between authors and booksellers during the second half of the eighteenth century. Changes were afoot for both—authorship, for example, acquired a place within commercial relations, and considerable publishing houses appeared. Yet alongside these transformations, many other aspects of the trade remained intact. Publishers still engaged in other aspects of the trade such as bookselling, printing, and the like, while exchanges between authors and publishers still retained their personal character (5). Stressing a dialectic relationship between print and history as well as the importance of author-publisher partnerships, Sher asserts that “Enlightenment book culture, then, was a negotiated collaborative, often contested activity that occurred within the economic, technological, legal, and intellectual contexts of the day” (7). What much of this discussion aims to effect is a realization of the crucial but understudied role that eighteenth-century publishers played in deciding which books were made available to the public and the material forms those books assumed. Despite this recognition, as Sher notes, the adoption of international approaches has remained largely an unfulfilled desire. Instead energy has been devoted to compiling national histories of the book, work that Sher appreciates but also warns must not be seen as an end in and of themselves but rather as stages toward achieving a firmer international grasp of the field (9). [Some book historians have viewed these national histories as essential preparatory work to more international approaches—and at times the production of these histories have reinforced the crucial need for international work as well as identified directions this work might take.] Similarly, he stresses the benefits of studying multiple genres as opposed to limiting studies to a single type of works. A focus on only a particular kind of books risks drawing skewed conclusions about publishing practices (10). This book responds to this need by attending to Scottish Enlightenment authors and publishers as well as those who reprinted their works in order to illustrate the “symbiotic relationship” that existed between “developments in eighteenth-century publishing … and the Scottish Enlightenment” (11). Having detailed the methodological approach that The Scottish Enlightenment and the Book will take and the rationale for its adoption, Sher then moves from book history concerns to Enlightenment historiography. While “From the Enlightenment to the Scottish Enlightenment” establishes the meaning his work accords to the term “Enlightenment,” the section also positions his study as an alternative approach to the impasses and defensive positions currently characterizing scholarship in this field. The section opens with the recent battering the Enlightenment has taken at the hands of postmodernist critics, Tracing the academic roots of anti-Enlightenment thought back to the early 1930s, it briefly rehearses the subsequent development of Enlightenment critiques (11-12). After observing that “most of these modern and postmodern critics have had only a superficial familiarity with the Enlightenment,” Sher sketches the general types of responses that Enlightenment scholars have offered to counter this disparagement, including those that debate whether the term should be singular or plural (13-14). From here Sher turns to exploring ways to invigorate Enlightenment studies. Again the emphasis is placed on breadth and multiplicity: “[T]he Enlightenment should be viewed as a very big movement, requiring correspondingly broad conceptualization, geographically, intellectually, and socially. The Enlightenment may be perceived as a grand symphony with multiple variations” (15). He follows with a more detailed explanation of the suitability of adopting a definition that is broad yet still singular. More specifically, the definition must be able to handle recognitions that ideas emerged and were exchanged from a plurality of geographical sites, flowed in multiple directions, and were not confined to one disciplinary path such as political philosophy or science (15-16). The “common core” of the Enlightenment for Sher is in a “set of general values” found among Enlightenment proponents no matter their geographic or national location. This open-ended list of values, rendered general enough to encompass national differences, includes—and I closely paraphrase—a commitment to improvement (typically at all levels); an empathetic, cosmopolitan sensibility towards others; a respect and penchant for sociability; toleration towards religious differences and attitudes as well as a belief in the freedoms of worship, speech, and written expression (despite varied attitudes about the limits of these freedoms); an embracement of intellectual pursuits (Kant’s dictum ‘dare to know’) and related belief in the power of learning; and aesthetic appreciation for the arts (16-17). Viewing the Enlightenment through the prism of this value set fosters the traversing of national and disciplinary boundaries while providing an overarching unity that can accommodate variations (17). To flesh out this formulation of the Scottish Enlightenment, Sher compares Franco Venturi’s view of Scottish Enlightenment literati as a distinctive, highly socially and personally unified body matched only by that of the French philosophes to Roy Porter’s preference for “Karl Mannheim’s notion of a ‘free’ (or free-floating) intelligentsia,” which, in turn, supports Porter’s view of a single British Enlightenment (21). Siding with Venturi’s recognition of the powerful role Scottish authors played, Sher explains that “this work is about the disproportionately large Scottish component in Enlightenment book culture and the immense contribution of the book trade in cultivating it” (22). One of its central concerns, then, is how the world of books and publishing fed the development of the Scottish Enlightenment and facilitated its spread beyond England and Scotland (23). Widely disseminated, Scottish books fueled the spread and influence of the Scottish Enlightenment on the Continent. Yet addressing these Continental dimensions of the Scottish Enlightenment would necessitate translation skills and raise methodological issues that are beyond the scope of this study. The international dimension of the Scottish Enlightenment is thus confined to “the spread of Scottish books to the English-speaking Atlantic world during late eighteenth century, especially as a result of reprinting in Dublin and Philadelphia” (23). As has been a constant theme in detailing this work’s methodologies, emphasis is placed on an approach that embodies dynamic interactions, geographic comprehensiveness, and generic inclusiveness. And once again this approach is presented a means of correcting existing shortcomings, in this case those affecting Atlantic studies. As the last chapters will demonstrate, book history, because of its range of interests and highly varied components, offers “one way to reconceptualize the Atlantic world and transcend the British-North America dichotomy” (24). As its title suggests, the introduction’s second part, Designs and Disclaimers, addresses what the work will not cover and provides a schematic overview of the chapters that follow. In the first section of this part, “Copyright and Reading,” Sher discusses what he sees as an overemphasis on copyright law as a defining factor of eighteenth-century British book history. That this emphasis has created an “authorial bias” to scholarship has led to distortions of British book culture during this century (25). Such a bias, moreover, works against Sher’s design of recuperating the role of the publishers in this culture and exploring the collaborative dynamics between authors and publishers, especially in the production of new works (26). The inordinate attention to the regulation of literary property has also obscured other, significant interests and concerns that motivated publishers. Attention to copyright law, moreover, has often intersected with studies of reading and reception, most recently in William St. Clair’s The Reading Nation in the Romantic Period that argues for key role played by the 1774 Donaldson v. Becket decision in creating this “reading nation” (27). As he has done throughout the introduction, Sher incorporates critique—in this case, of St. Clair’s work—alongside a presentation of his own approach to explain and ground his approach. Arguing that the roots of Britain as a reading nation stretch back much farther than 1774, Sher challenges St. Clair’s arguments concerning the revolutionary effects that the House of Lords’ decision exercised over the production and affordability of (and thus access to) books by drawing attention to actual practices (28-29). He does note, however, that St. Clair’s view of the formation of an ‘old canon’ during the second half of the eighteenth century, which endured through the mid-nineteenth century, is essentially sound (30). While his study does not engage with reading and reception issues, Sher acknowledges the importance of conducting empirical research to gain a better understanding them and cites David Allen’s recent work in these areas. At the same time the privileging of reading and reception at the expense of attention to production, in part a result of the ascendancy of reader-response theory, has necessitated an adjustment and justifies renewing attention to publishing. As Sher points out, reception of works in the eighteenth century depended on publishing (31). Indeed, the “process of making and marketing books and the nature of books themselves must be recognized as crucial factors in shaping reading and reception” (32). This “process of making and marketing of books,” moreover, encompasses not only the material appearances of books (the typography, layout, and so forth that influence reading) but also a wide range of factors related to supply and accessibility of books, including the price, print run size, advertising methods, promotional campaigns, and author-publisher(s) contractual agreements and all of which exercised various degrees of influence on reception (32). To illustrate how a better understanding of book production and distribution can enhance our knowledge of reception, Sher contrasts a view of Hugh Blair’s sermon “On Sensibility” based on attention to its text alone against one that incorporates a book historical approach (32-34). This example serves as a larger reminder of how study that focuses on issues that concern production and distribution, as Sher work does for the Scottish Enlightenment, “can help us recover the contemporary meaning of published books” (34). Rather than “Abandoning the Author, Transforming the Text, and Re-Orienting the Reader,” Sher’s work advocates as it executes “Revitalizing the Author and the Publisher, Re-Situating the Text within the Book, and Re-Orienting the Reader” (34). The final section, “Things to Come” summarizes the organization of each chapter and the progression of the arguments the book advances. As this overview suggests, Sher outlines an ambitious project that seeks both to re-direct energies from the impasses and stagnation in Enlightenment scholarship (effected, in part, by the excesses of postmodern theorizing) and to debunk myths that have arisen about the trade as a result of too little attention to historical realities and replace them with a much richer, accurate understanding of the practices governing publishing during the eighteenth century. No doubt because of my own work on a publisher-bookseller, I agree wholeheartedly with his claims that exploration of these agents has been neglected and welcome the stress his book places on this role as well as that of the reprinters who followed. Without a better understanding of their role it seems we are missing a crucial piece of not just publishing history but literary history, too. Similarly, Sher’s call to attend to multiple genres seems useful for literary historians to heed as well as scholars of the Enlightenment. Increasingly, I have been drawn to investigating the relationship between the novel especially but other “literary” genres as well within the larger corpus of print production. From the stance of book history, his critiques of current work seem measured and balanced. Given Sher’s interest in correcting myths, Stephen Brown’s critique in .PBSA about the work’s neglect of ephemera seems an apt point to raise but, in my mind, does not result in marring the study’s impressive accomplishments. Whether Sher gives short shrift to anti-Enlightenment critics, as Richard Macksey insinuates, or whether he privileges publishing to the exclusion of other factors affecting the Scottish Enlightenment, as Roger Emerson, suggests are matters we might wish to discuss. As for how well his study fulfills the goals he outlines here, our discussions of later chapters will no doubt assess the work’s overall strengths and shortcomings.